Lorraine Kindred's most cherished memories are of the Surf Ballroom, the place where youth lost themselves to the brassy sounds and magnetic energy of the big band swing, where boys spent their last nights before shipping off to war-and where Lorraine herself was swept away by a star-crossed romance. Returning to the ballroom for the first time in decades, Lorraine enters a dazzling world she thought long vanished. But as the sparkling past comes to life, so does the fateful encounter that forced her to choose between her heart and her duty all those years ago-and Lorraine must face the secret she's buried ever since. Along the way, she'll rediscover herself, her passion, and her capacity for resilience. 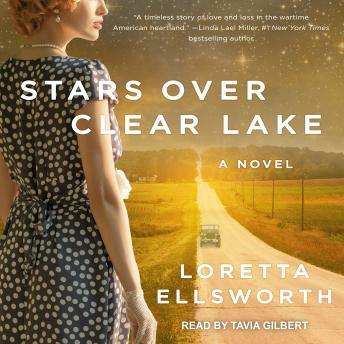 Set during the 1940s and the present and inspired by a real-life ballroom, Loretta Ellsworth's Stars Over Clear Lake is a moving story of forbidden love, lost love, everlasting love-and self-love.